Ten project-based lessons that teach students how to create games like Flappy Dino, Brick Breaker, and Basketball. Python 1 is recommended. Students learn collision events, keyboard input, score-keeping, and much more. 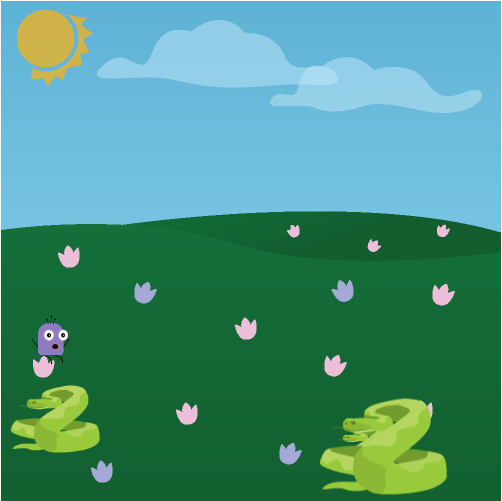 In this project-based series of lessons students learn how to use Codesters to create games in Python. Our Game Design lessons are designed to show students how to use their Python coding skills to create games. 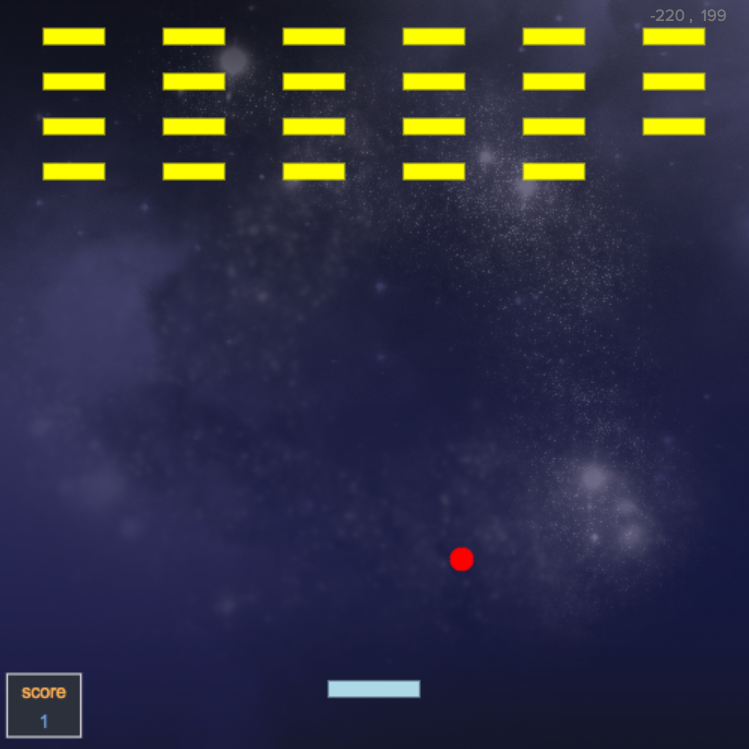 To create the classic BrickBreaker, students use nested loops to add rows of blocks to the screen, then use the physics engine and collision events to create the game mechanics. 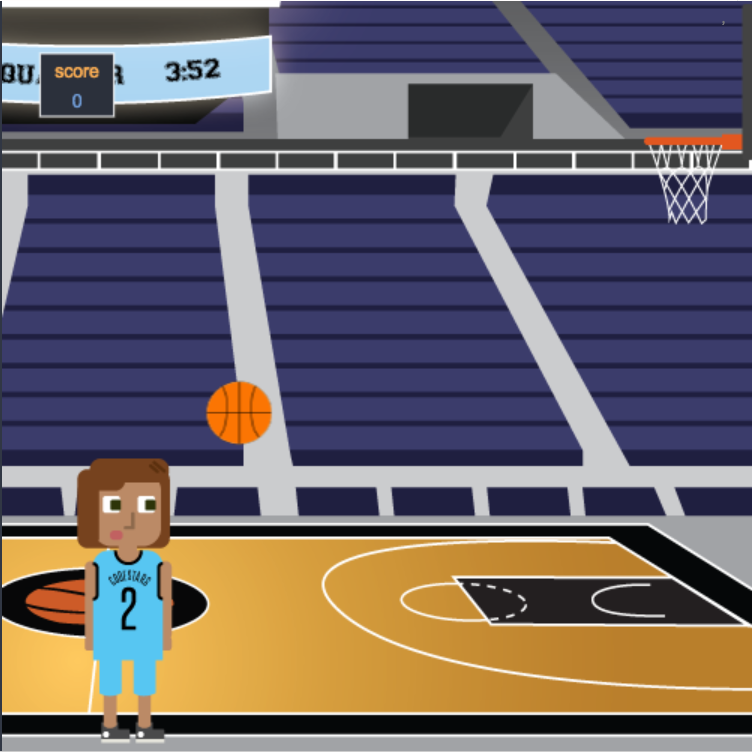 In this Basketball game, students learn how to add a click-and-drag event to allow the player to control how the the angle and speed of their shot. Then, students use the physics engine and a goal collision event to keep score when the player makes a shot. Some games include a positive social message. In the Recycling Game students players are given the goal of cleaning up garbage in the park and recycling it to make new useful items. 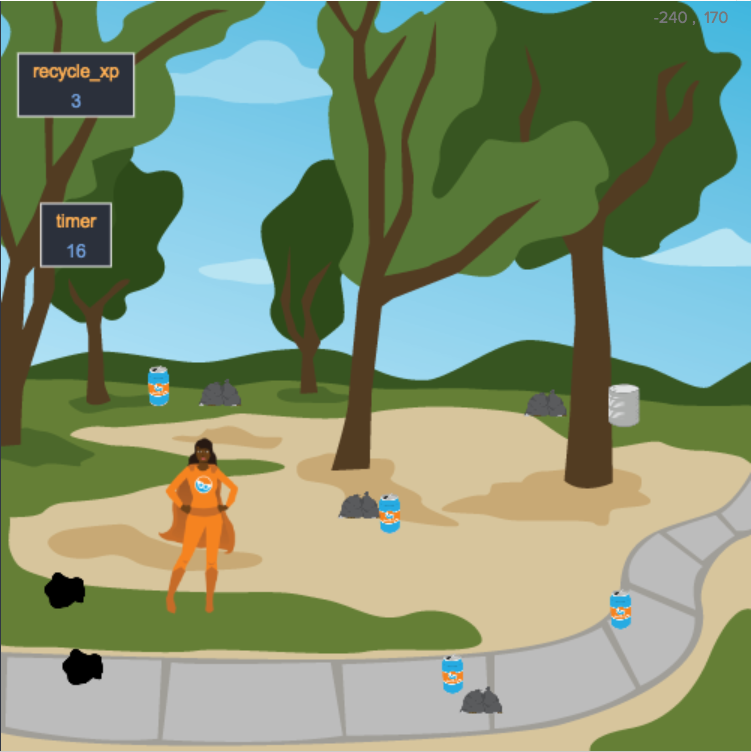 In this arcade-style scroller, students start by creating a hero, then add hostile characters and other obstacles, and finally challenge the player to maneuver their hero to the goal and will the game.